Joy treats have an unbeatable taste! These treats are soft and chewy for all breeds. 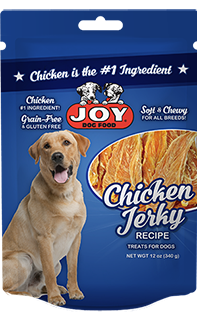 Joy Grain Free Chicken Jerky treats are fun to feed and you will see a happy dog.